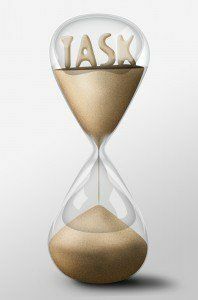 Many of us are already using timers to get started on a new project, to keep us focused and to be punctual. We are also using timers in the classroom as we set tasks for the kids. And here is a nice list of fun timers that we can adapt and use in the classroom. Simply, choose your style among egg/rocket/candle/bar/swimming timers or, bomb/dynamite countdowns. Set the time, show it on the screen and let it start! Don’t forget get to use the timer full screen. Use these fun timers to give kids a visual five minutes until they finish their work. Ask students to write a short story until the timer finishes. When we make a quiz, we can reflect it on the screen and students can watch the time. That’s a great way to help them understand how much time has passed as young kids have difficulty with understanding the time. Jump or turn around or hop as the timer ticks down. Students to close their eyes or turn back and ask them to raise their hands when they think 1 minute has passed. The closest person to the timer can be the winner. Ask students to be completely silent until the timer shows 00:00. This will be a challenge for kids! That’s also great to give and show them the time to get in a line or put away their staff. This really motivates them. This is certainly one of the great ways to keep us and students on task!